THE chairman of the Hyponatraemia Inquiry today said he was “bewildered” and “troubled” by the fact that child deaths being investigated by the inquiry were not discussed at a major review that took place just weeks after the death of nine-year-old Raychel Ferguson. A series of high-ranking doctors has maintained that the Chief Medical Officer’s working group in 2001 did not raise specific fluid deaths they had experience of when drawing up guidelines on preventing death and injury caused by hyponatraemia – the condition of low sodium caused by excess fluid. Today a consultant anaesthetist who was played a central role in in the treatment of four-year-old Adam Strain was questioned about why he did not mention this case when he was part of the working group tasked with developing regional guidelines on hyponatraemia. 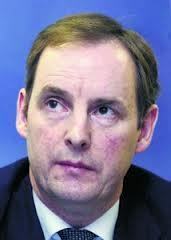 The Inquiry into Hyponatreamia-related Deaths in Children was established in 2004 and is chaired by Mr Justice John O’Hara. For more information on the background of the inquiry click here. The O’Hara Inquiry in Banbridge has established that within the eight-member group, several individuals had varying levels of awareness that fluid had been issue in three specific deaths – Adam Strain in 1995, Lucy Crawford in 2000 and Raychel Ferguson in 2001. Adam Strain died in November 1995 in the course of a kidney transplant at the Royal Belfast Hospital for Sick Children. Dr Bob Taylor was the consultant anaesthetist involved in his care. Questioning Dr Taylor about his involvement in the working group, Senior Counsel to the inquiry Monye Anyadike-Danes QC asked him why he had not included Adams death in a bar chart that he had produced for the working party meeting. Monye Anyadike-Danes QC: You’re providing a bar chart of the incidence of hyponatraemia. Now one source of your information from that is whatever is on the Paediatric Intensive Care Unit (PICU) database. Another source of your information is your direct knowledge. So since you’re going to provide this to Paul Darragh, who’s going to chair the first meeting and one of the things you’re presuming that people want to talk about is, as the chairman said, how big is the problem? So you are providing something to show, at least for the Children’s Hospital’s perspective, the incidence of hyponatraemia. Why don’t you put Adam’s death in 1995 because you know about it? Dr Taylor: I don’t know, the only evidence I took for this bar chart was the secretary’s interrogation of the PICU database. Monye Anyadike-Danes QC: Yes but you know that Adam died, implicating hyponatraemia. So why don’t you add hyponatrameia to this chart? Dr Taylor: I don’t know. I can’t explain. I didn’t do it. Dr Taylor told the inquiry that he had assumed the graph wouldn’t be taken as “complete data” and that it was the only information he could access at short notice during the summer holidays. Dr Taylor: This was only data interrogated from the database and could not be solely relied on. I never expected this to be accepted as the complete- and I’m convinced that I would have told Dr Darragh or others that this was not 100 percent fool proof. Mr Justice O’Hara: Did you add for instance ‘I personally know of a death in 1995’? Because there’s no point in telling Dr Darragh and others that isn’t fool proof if you don’t then go onto say ‘there was definitely one more death in 1995’. Dr Taylor: Well Adam’s death was a coroner’s inquest and in 1996, when the inquest was being held, it was very well reported in the local press, and my view was that every clinician working with paediatrics was aware of the inquest and the findings of the coroner. It was very prominent. David Hunter, of Hunter Solicitors, who represent the family of Adam Strain, said the Strain family were concerned about Dr Taylor’s explanation. Mr Hunter: Sir, can I just make one point on behalf of the family? They are at a complete loss to understand, if one is to accept Dr Taylor’s evidence that he had trouble getting his head around the death of Adam and the mechanism of Adam’s death, here he was, presented with a golden opportunity, sitting with his colleagues, discussing the whole issue hyponatrameia and he didn’t even raise it as an issue. Dr Taylor told the inquiry that he accepted that the bar chart was based on incomplete data , but stressed that he didn’t present the bar chart at the working group but instead provided a narrative of its findings. Monye Anyadike-Danes QC: can you see from the families point of view, that if you provide a graph like that without the caveats that you have now provided to the chairman that from the familys point of view, that might looks as if you were excluding from the chat chart the two rather contentious deaths in which the children’s hospital had been involved? Mr Justice O’Hara : Even if you set aside Adam and set aside Claire, there’s two deaths, which are directly hyponatraemia-related. And I’m being given to understand over the last couples of weeks that at no point during anything to do with the working party was Lucy mentioned, and I don’t understand how that could possibly have been the case. I don’t understand if you’re in the working party with your colleague in the Royal, Dr [Peter] Crean, how that could possibly have been the case, nor do I understand that since there was somebody on the working party from the Erne how that was the case. Can you help me with that? Dr Taylor: I can’t help, looking back. Mr Justice O’Hara: Not a name, I’m not necessarily looking for Lucy’s name, but the idea that there wasn’t even a reference to a girl who had been treated in the Erne and who had then been referred to the Royal, the idea that there was no reference to her leaves me bewildered. Mr Justice O’Hara said the idea that the working party did not mention the relevant child deaths that occurred, “troubled” him.